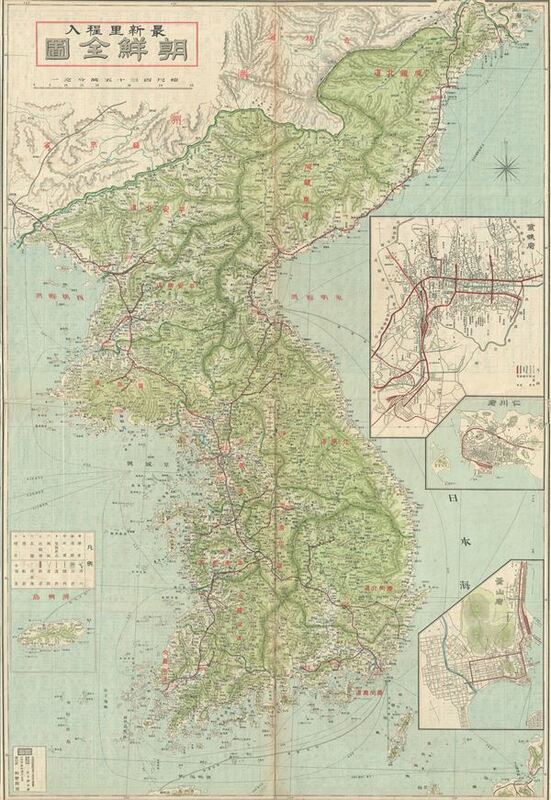 This is a scarce c.1930 Japanese map of Korea (Corea). The map covers all of peninsular Korea including North Korea and South Korea. It notes several geographical and topographical features details including shipping lines, towns, and roads, rivers, mountains, islands, etc. Three city inset maps are features along the right border. All text is in Japanese. Issued by the Japanese in about 1930. Very good. Some wear and toning along original fold lines. Some spotting. Professionally flattened and backed with archival tissue.